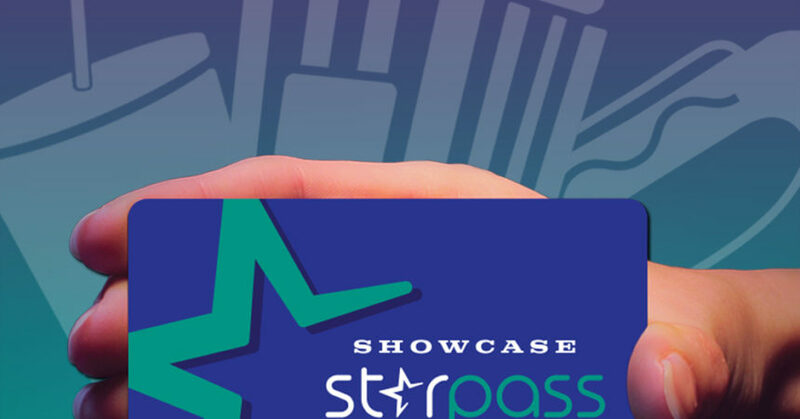 Norwood, Massachusetts (January 17, 2019) – Showcase Cinemas, a world leader in the motion picture exhibition industry, is thrilled to announce the launch of the NEW Starpass loyalty program. FREE to use, Starpass, enables guests to earn a 10 percent reward for virtually every dollar spent, with no blackout dates, and flexible options to redeem reward value for a myriad of purchases including tickets, concessions and at cinema restaurants and in-seat dining! Showcase Cinemas is a world leader in the motion picture exhibition industry, operating more than 932 movie screens in the U.S., U.K., Argentina and Brazil under the Showcase, Cinema de Lux, SuperLux and UCI brands. With 28 theatre locations in the United States, Showcase Cinemas delivers the finest entertainment experience, offering the best in comfort, dining and viewing. For more information about Showcase Cinemas please visit www.ShowcaseCinemas.com.